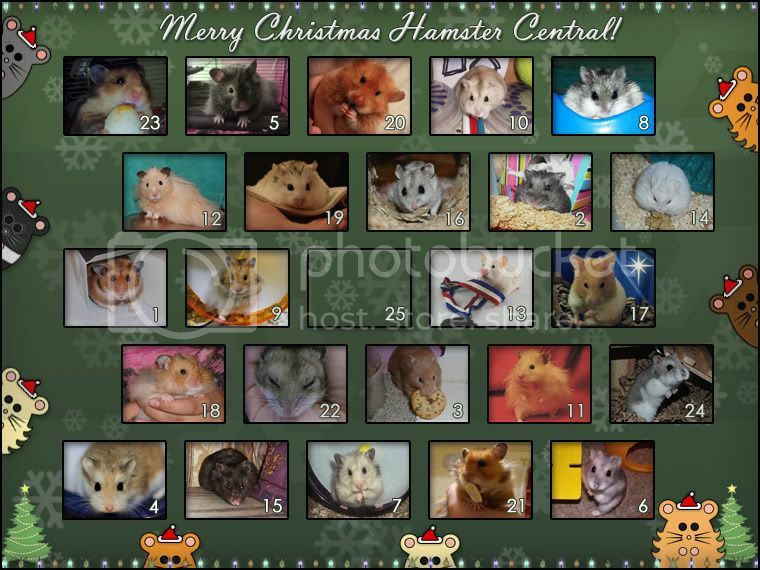 Aw Cookie Monster - so many hams and nice to see them on the advent calendar. Nearly finished already - been great though. 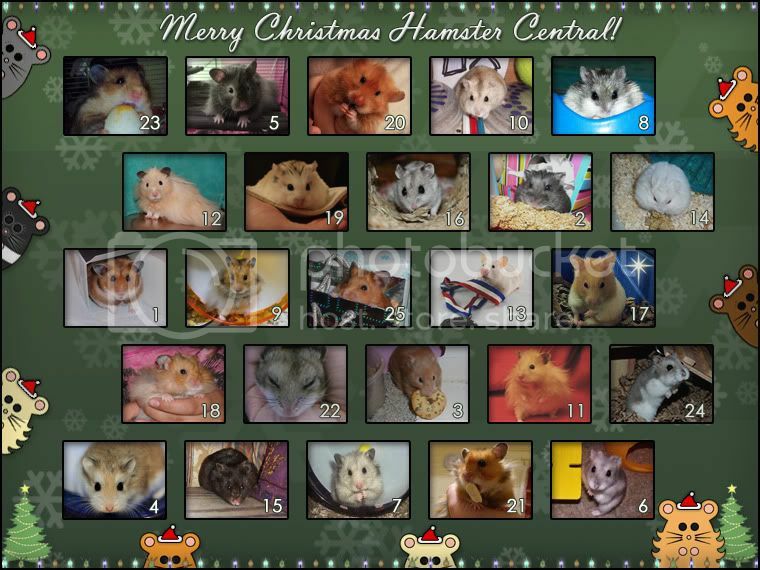 Moderator Leedsgurl made this wonderful calendar so only right her hamster is the one to be behind the Christmas day door. Who else could be behind the last door than the gorgeous shiny boy who is the daddy of all the LeedsHams? It's of course my wonderful Stewie. Well done Souffle and thanks. Merry Christmas and a Hampy New year to all.